In less than 24 hours we will been on a plane to our honeymoon destination! To say that we are excited is a total understatement! But with that excitement also comes a little bit of stress. I tend to get a bit of travel anxiety, especially leading up the trip, so I’m excited to get this show on the road (err…air!) In the mean time I’m spending my day tying up loose ends, running last minute errands & packing packing packing! Speaking of packing, I wanted to share what I typically bring in my carry on with y’all! I have a few staple items I bring on every trip & then a few that vary depending on the location. 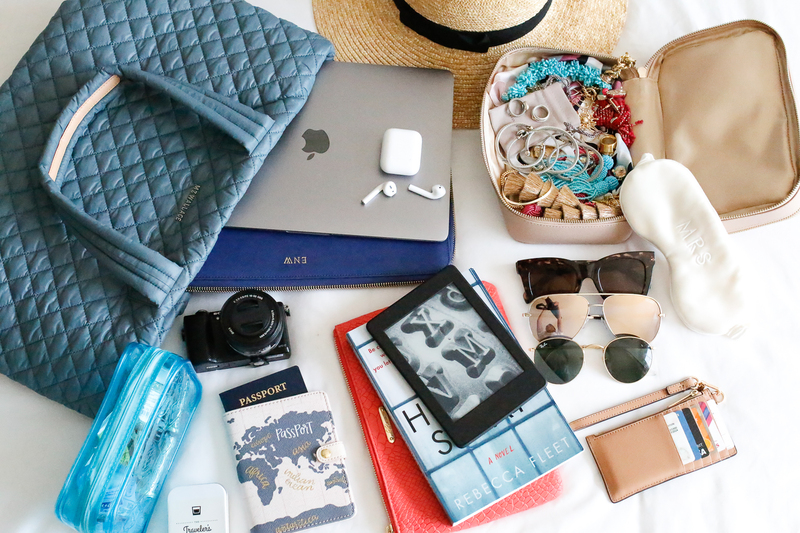 Let me know what you pack in your carry-on bag in the comments! First of all, I have to chat a bit about my carry-on bag! 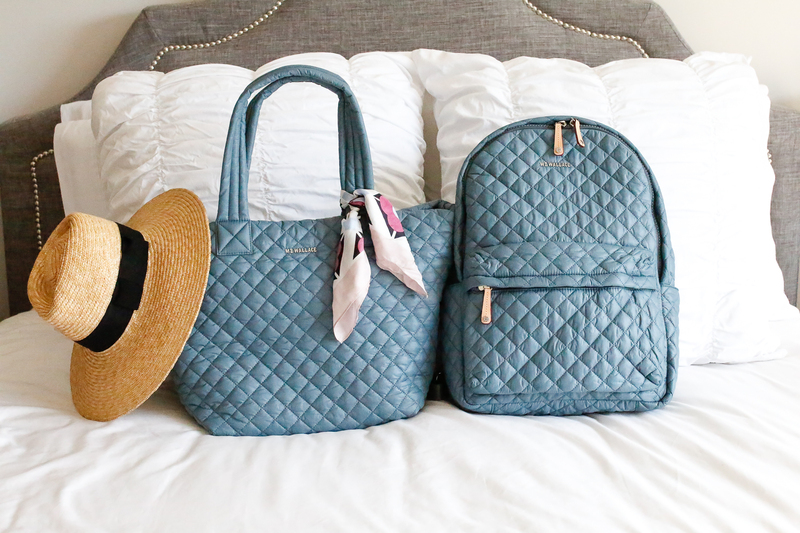 If you’re looking for a great travel bag I highly recommend the Metro Tote from MZ Wallace. For as long as I can remember I have either carried a leather tote (which is heavy) or a regular tote without a zipper (which isn’t always safe when traveling) so I had been on the hunt for a great travel bag. The Metro Tote is incredibly lightweight, has a zipper to keep your items protected, and has a lot of space. 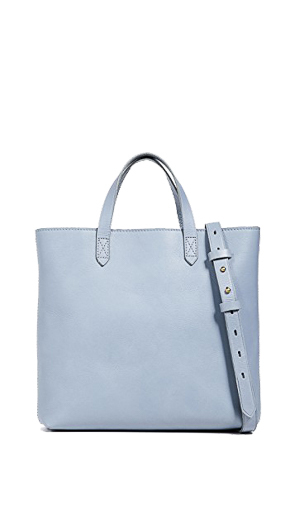 I have the medium tote, but it also comes in a large version, perfect for weekend trips. I think the best part about this bag though is the fact that it’s fully packable. 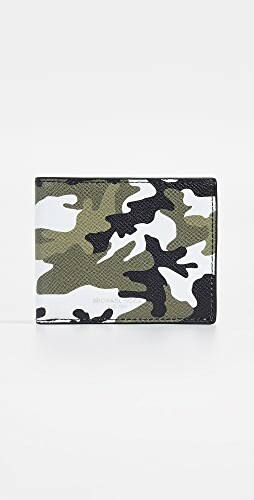 It comes with a small pouch that it can easily fold into. 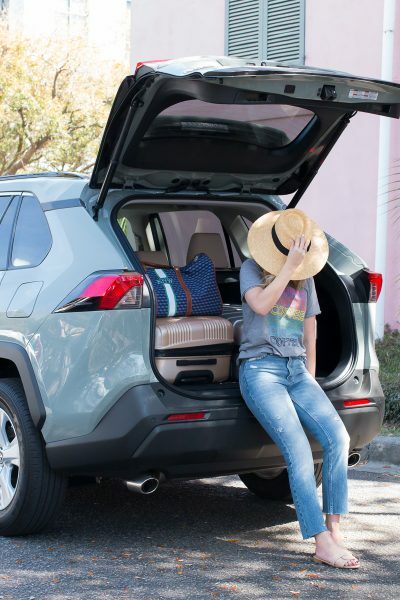 This would come really in handy if you only need it when you get to your destination! 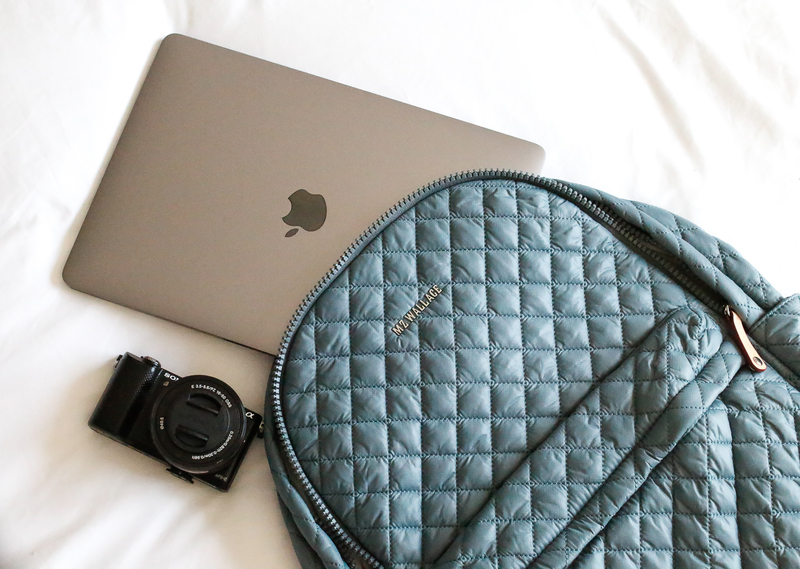 I’m also bringing along the matching metro backpack for this trip to hold my laptop & cameras! It’s also lightweight, has a lot of storage space and has the same packable capabilities. 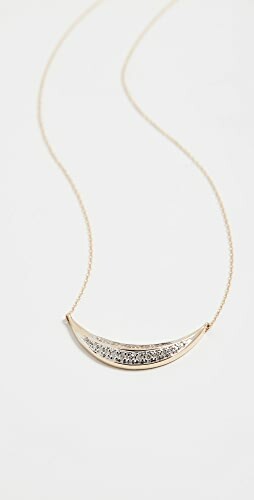 -JEWELRY | I always keep my jewelry with me in my carry-on bag, especially if I am checking a bag. Many of my pieces are sentimental or have a special memory attached to them, so that’s not something I want getting lost! 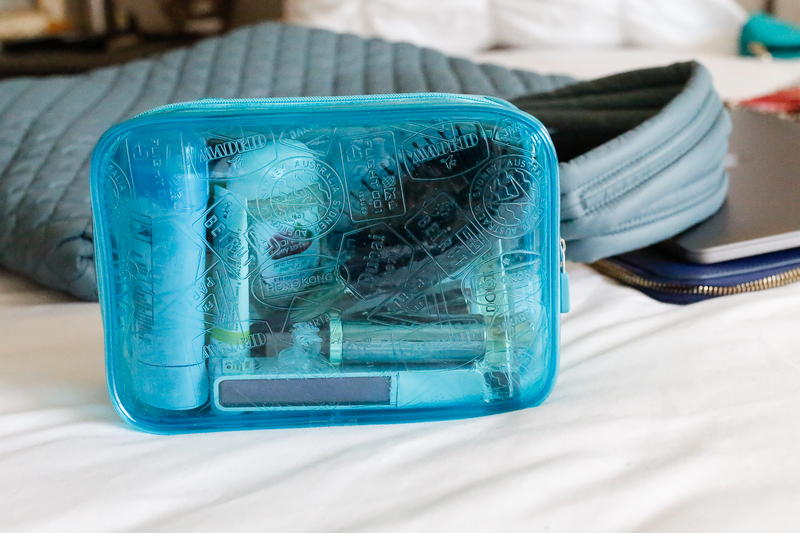 I love this travel case because it can hold both toiletries and jewelry. I has two different compartments to store your things and the top compartment has gussets for your earrings and two zip pockets for any other jewelry. 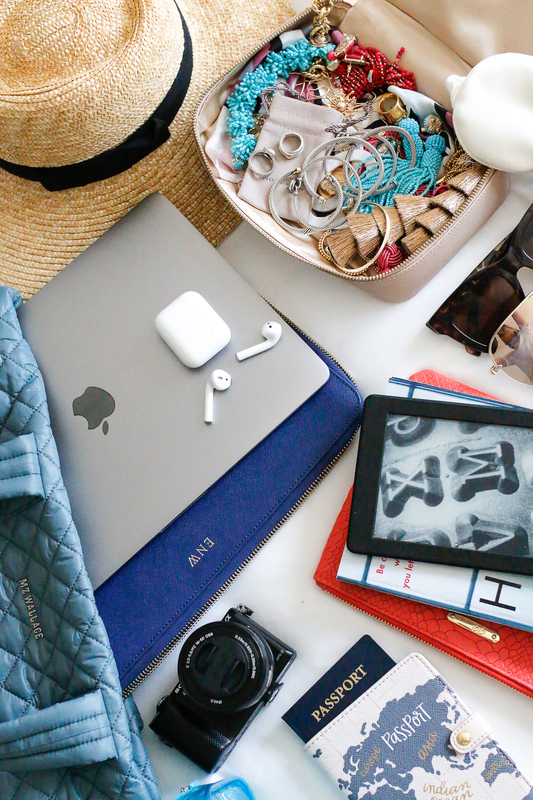 –MY LAPTOP | Even if I’m going on vacation I like to have my laptop with me at all times! it helps me stay busy on the flight (halellujah for in-flight wifi!) and it’s nice to have in case I need it. –MY TRAVEL CAMERA | I got this camera a few years ago & I love using it on the go. It’s a lot lighter than my DSLR and it’s easy to pick up and take with me when traveling. It has a flip screen and built in wifi. I’m thinking of doing my first ever vlog for this trip… we’ll see how that goes haha. 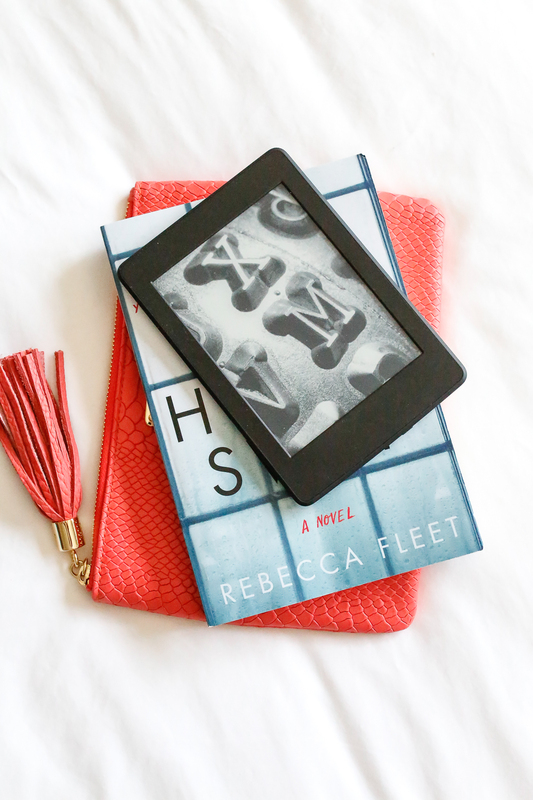 –A BOOK & MY KINDLE | Y’all know I can’t go anywhere without a book! I like to bring a physical book for the flight(s) and my kindle for poolside reading. I love bringing my Kindle Paperwhite with me because it cuts down on me having to bring numerous books with me. I’m bringing along this book for the flight that comes out later this month. I can’t wait to read it & share it later this month in my book review series! –AIRPODS | For the longest time I didn’t get the appeal of AirPods (just being honest) but after getting them and using them I totally get the type! I use them every single day. I use them while cleaning, when working out, while working during the day… they are the BEST and not having a cord is even better. I do bring a spare pair fo “normal” headphones when I know there is in flight entertainment though! 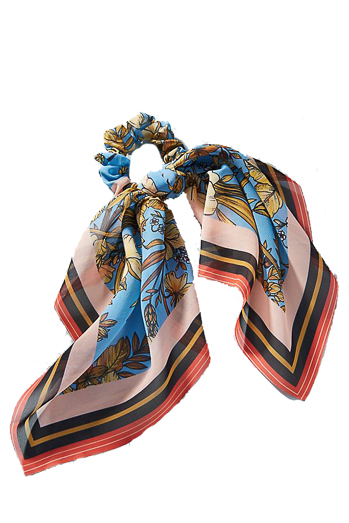 -TRAVEL TOILETRIES, ETC. 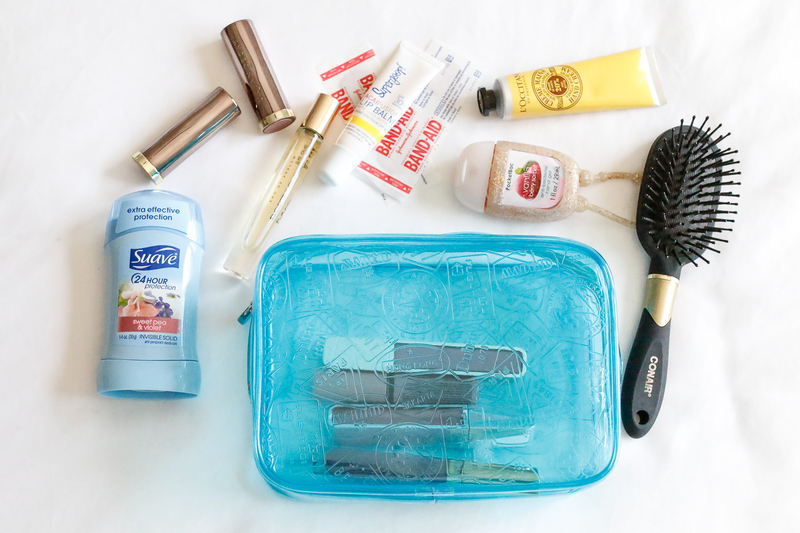 | I always like having a few things on hand (in a travel case like this one) for any flight. I keep a section in the closet in my bathroom for travel sized items. 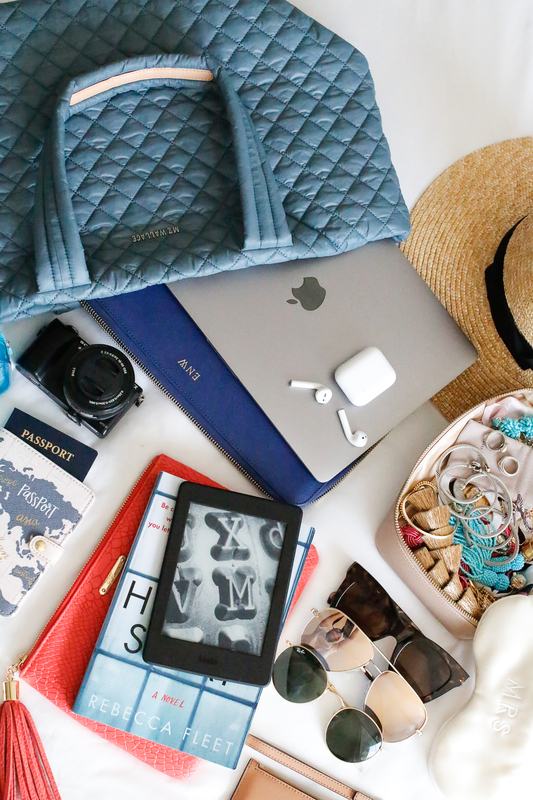 Anytime I’m prepping for a trip I dive into that storage bin for everything I need. I like keeping hand sanitizer (and sanitizing wipes), a small hairbrush, a mini roll-on perfume, lipgloss and chapstick, and deodorant. I always pop into the bathroom once I land and freshen up a bit after a flight! 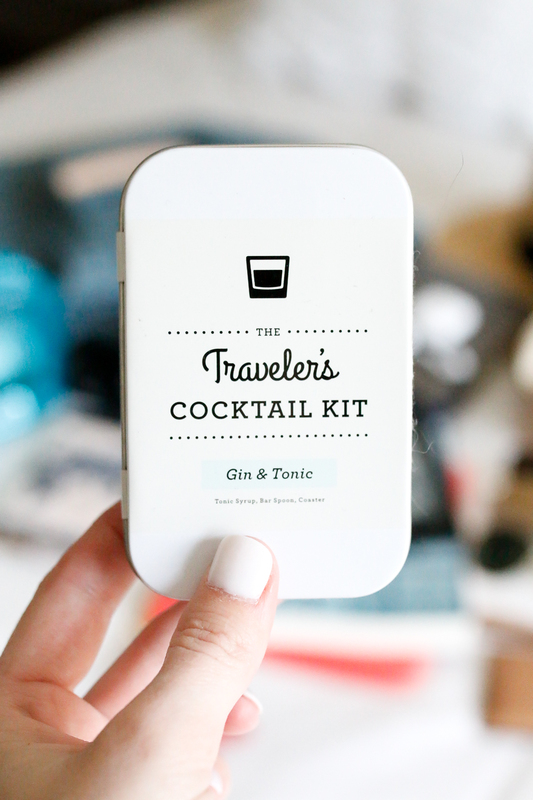 –TRAVELER’S COCKTAIL KIT | We got a few of these from friends for our honeymoon adventure. Our signature drinks at our wedding were Gin & Tonics and Moscow Mules, so we have a few of those for our flight over to celebrate! 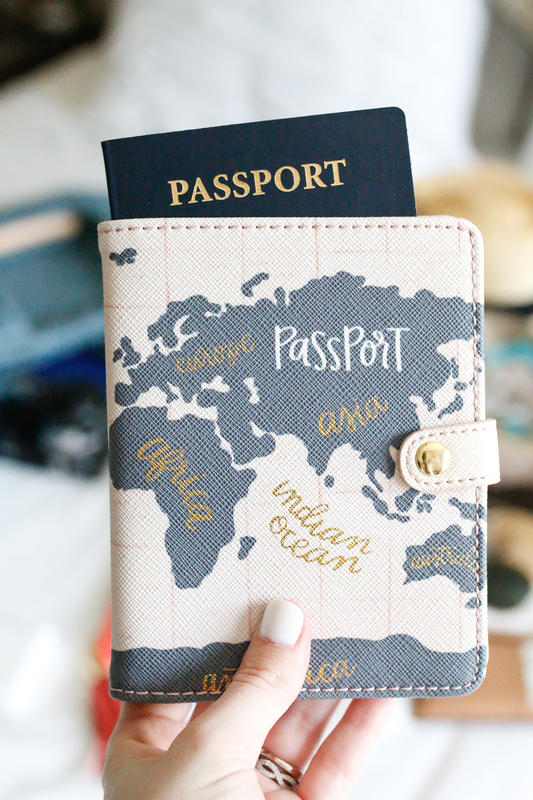 -PASSPORT (AND CUTE PASSPORT HOLDER, DUH) | I obviously only bring this if we’re traveling out of the country, but I always double and triple check to make sure I have it! 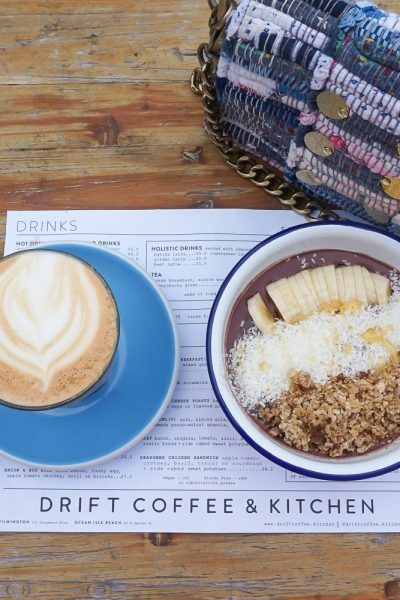 –SUNGLASSES | I have made the mistake of packing my sunglasses in my checked baggage and it’s always so frustrating to a) not have them after getting off the plane and b) having to dig in your bag at baggage claim to find them! 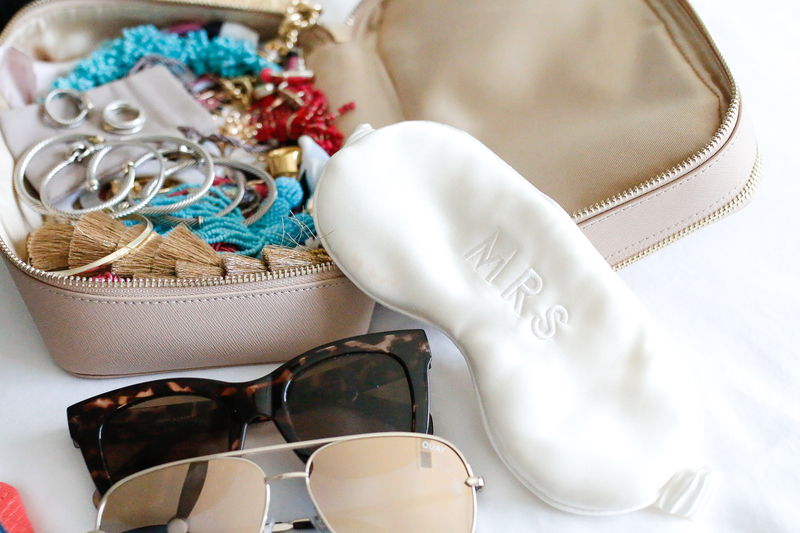 –A SLEEP MASK | We have a really early flight (we have to be at the airport at 5am…ugh!) on the way there and a late flight on the way back. I know I’m going to want some shut eye, so I’m bringing this silk sleep mask. This also helps if you have seat neighbors who love to use the reading light! 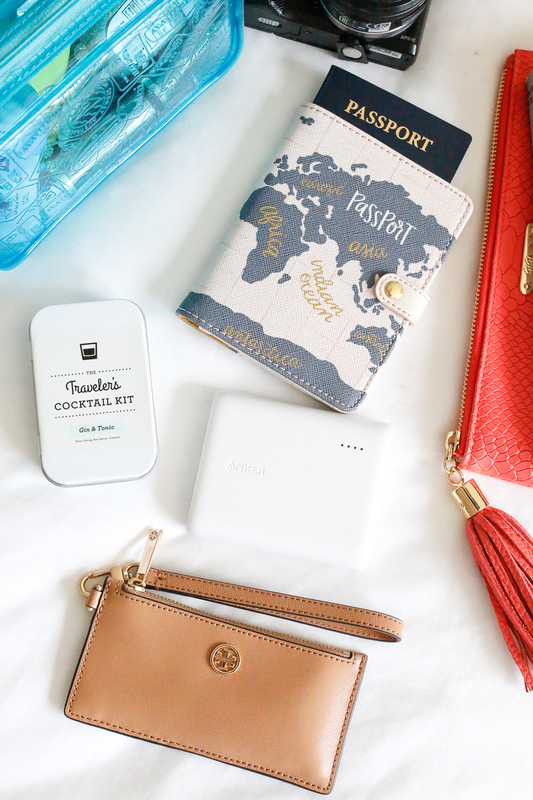 😉 –PORTABLE PHONE CHARGER | I feel like my phone is constantly dying, especially on travel days, so I always like to have a portable charger with me. I really like this portable charger because it’s lightweight, charges fast & can charge my phone up to five times. 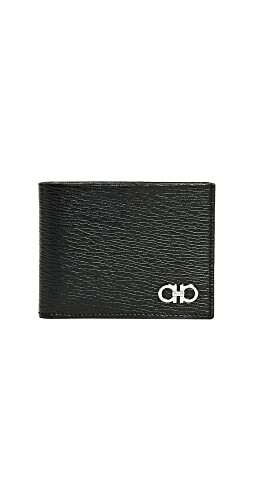 –TRAVEL WALLET | My friend Kate got me this Tory Burch card case a few years ago for my birthday & it’s so convenient. It holds all the essentials for traveling! –HAT | Sometimes I can get away with packing my hat(s) in my suitcase, but other times I bring them along with me in my carry-on to preserve their shape! This hat is one of my all time favorites! I love the matching luggage, and that is such a lovely shade of blue! Your packing list looks very complete to me, the only thing I would add is Lysol wipes to wipe down the tray table. I hope you have an amazing trip! A blog would be cool to watch! 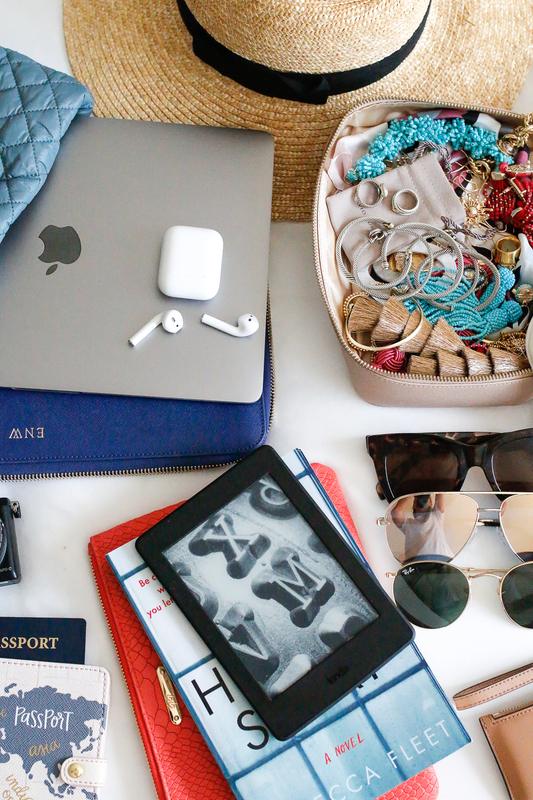 So many good ideas for a carry-on! Btw, how did you get an advanced copy of that book? Looks really good! I love how organized you are. And adore your MZ Wallace bags! 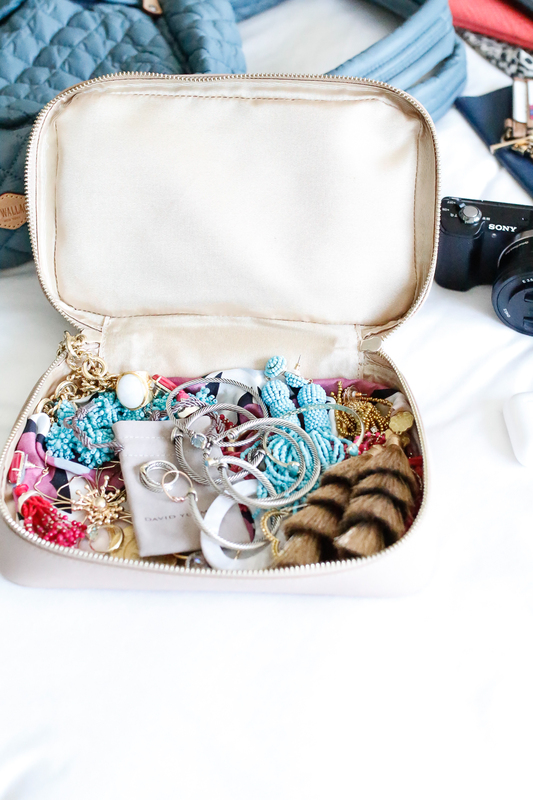 I love all of the things you have in your carry on! Have so much fun on your honeymoon! I haven’t tried ear pods yet but I do love my wireless headphones! Can’t wait to hear more about your trip! I love your carry-on bag! I need that jewelry case in my life!! I am SO excited to follow along on your trip! I can’t wait to see all your stylish outfits girl. 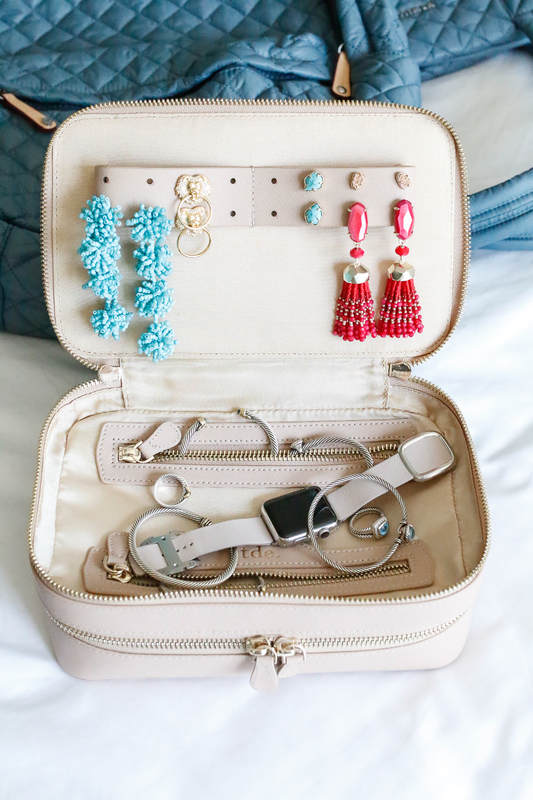 This is so helpful for packing for a small trip! Love that tote bag! 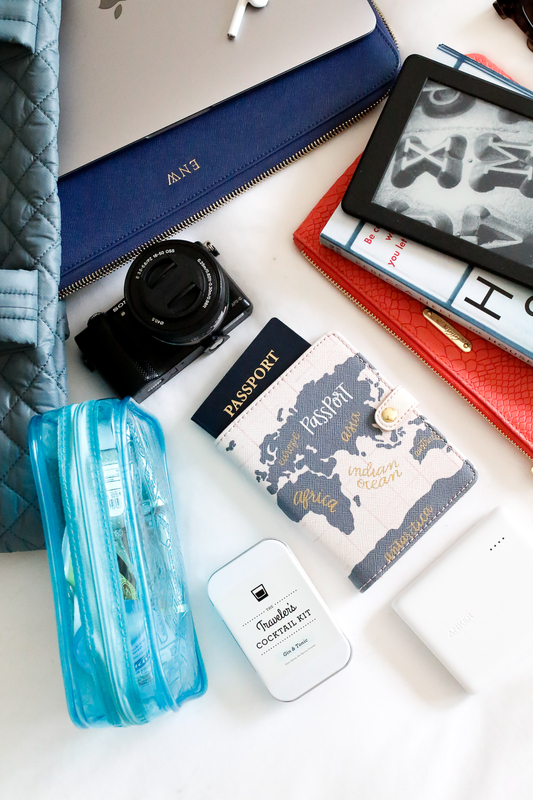 Love all of your travel bags– keeps everything so organized! 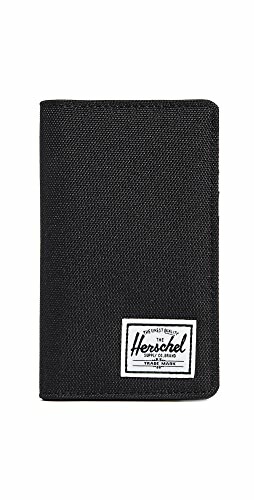 Love your passport cover and those carry on bags!! Hope you have a BLAST on your honeymoon! 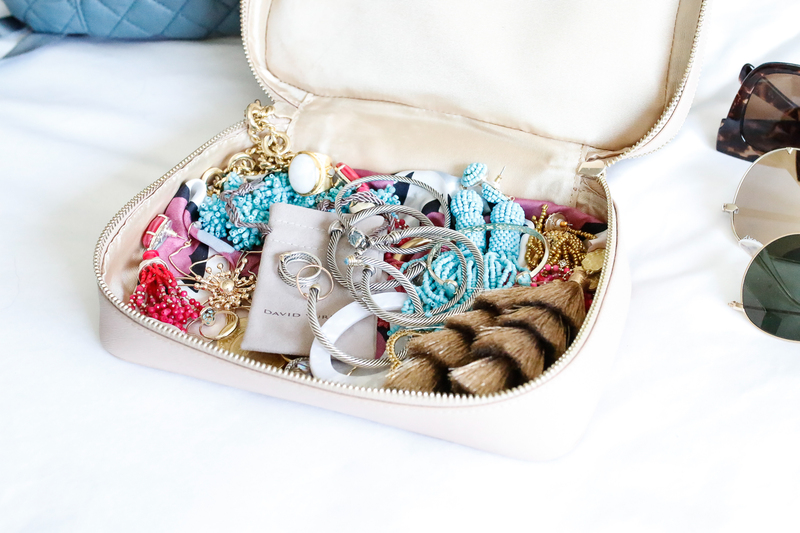 I need to get a jewelry holder like that for my travels! I’ve tried so many ways to pack jewelry and am always disappointed in the end! Crushing super hard on that MZ Wallace tote! 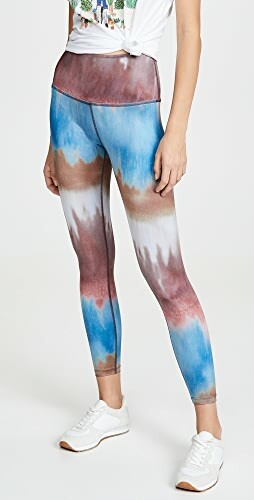 Really want one of those. Hope you are having the BEST time your honeymoon gal! I need that jewelry bag! Mine always get tangled when I’m traveling and it’s so annoying! 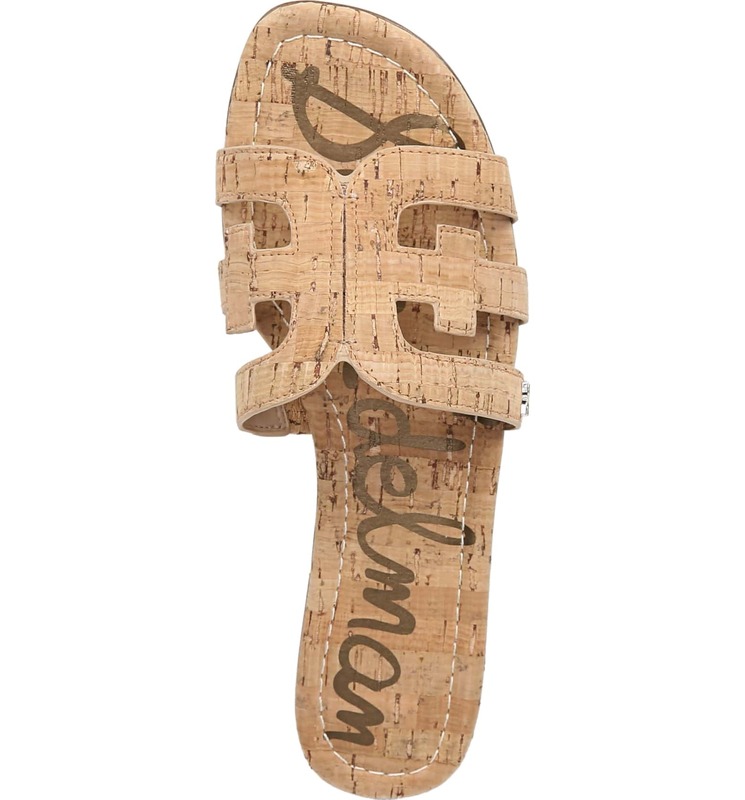 Shop Graphic Sweatshirts, Blue Heels Shoes, Gold Lariat Necklaces, Pink Flat Shoes and more. Get this widget.